As a child growing up on the Big Island of Hawai‘i, Narrissa Spies thought the classroom and beach were two separate and distinct places. 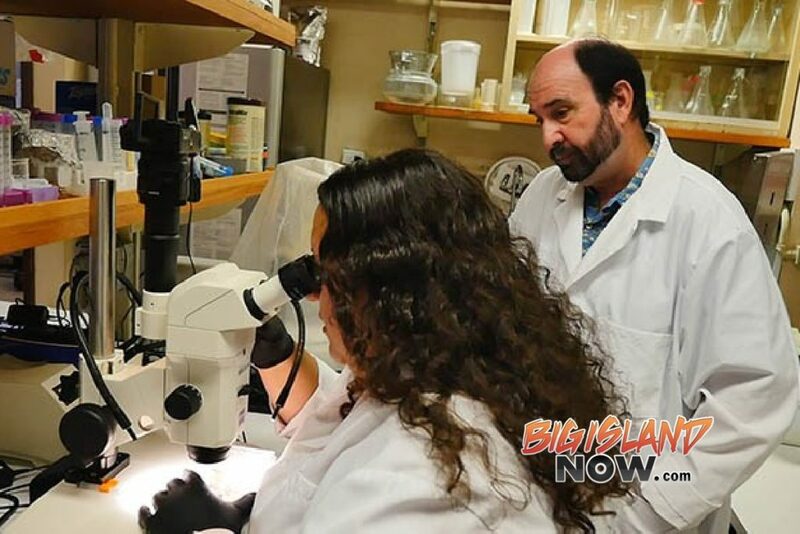 The University of Hawai‘i at Mānoa announced that this 35-year-old graduate student in zoology at the university knows that protecting coral reefs is both her future job and life’s passion. Thanks to a $45,000 fellowship from the Kohala Center, a Waimea-based nonprofit, Spies is spending the 2017–18 academic year finishing her doctorate on how coral are able to withstand multiple stressors resulting from human activities. Spies grew up in Hilo and Kawaihae, where her childhood aspiration was to become a medical researcher. She began her studies at Hawaiʻi Community College, graduating from UH Hilo with a bachelor of arts in biology and anthropology, and a master’s degree in tropical conservation biology and environmental science. Today, you’ll find Spies at the Kewalo Marine Lab, near Kakaʻako Waterfront Park, where she is on schedule to earn a doctorate in zoology in Spring 2018. She continues her research after receiving yet another honor—a grant from the National Oceanic and Atmospheric Administration to engage high school students in the natural sciences as a career path. By demonstrating her high level of success, this role model will increase the number of Native Hawaiian professionals with a cultural affinity for protecting fragile natural resources.